Typically, when talking about hacking or hackers, people think of someone with deep knowledge on computers and software. 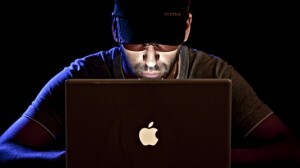 In most cases, people have the idea of individuals that are able to do things that are almost impossible for the regular computer users and there is also the erroneous belief that hackers get involved in on-line frauds. But in fact, a hacker is just a passionate free person, who is curious and is dedicated and committed to learn and improve his/her own skills. Commonly when people use the word hacker, they are in fact talking about a cracker. To say it in a simple way, we could say that hackers and crackers are persons with the same kind of knowledge but with opposite ideas. The hackers would be the good ones, the ones that create the software we use and the crackers would be the bad ones, the ones that seek to break the vulnerability of the software created by the hackers. The crackers are precisely the ones that try to enter into private networks in a non-authorized and illegal way, to obtain information or to make a network crash. All hackers have the needed skills and knowledge to become crackers, but they have not fallen into temptation and stay within legality. When a hacker enters a network or database, it is with the intention of demonstrating the vulnerability of that software and it is with the ultimate purpose of improving the security. The cracker, also called pirate, on the contrary, enters a network to destroy it or to seek some personal benefit. Hackers and crackers are permanently connected to the web but while hackers maintain a high level of interaction with the hacking community and they even collaborate with each other, crackers tend to act independently or they gather in very small , private and secret groups which has nothing similar to the open culture of the hackers who are enthusiastic about sharing and spreading their knowledge. Journalism and filming industry have contributed to create the misconception about hackers and overall hacking activity making people assume hackers are actually crackers, this error really irritates the hackers who in fact despise the crackers for the way they use their knowledge. Their natures are completely opposite, the crackers destroy and damage while hackers focus on solving problems, building new things and have a kind attitude and are free persons willing to help.